The perfect place for your pup! Our staff will play, teach & socialise your best friend(s) with other dogs. We know how busy you can be. 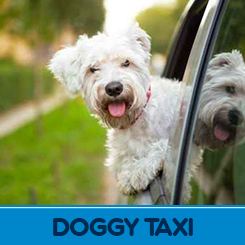 Not to worry – we can pick up and drop off your dog with our Taxi service. Dogs love to get down and dirty. 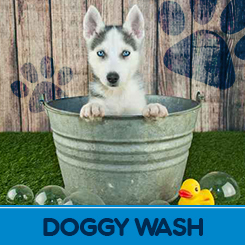 That’s why we offer an affordable washing service while your dog is here at K9 Klub. Does your dog need a trim? 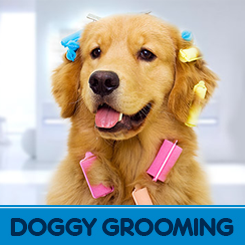 A qualified Dog Groomer can take care of your dog’s grooming needs . 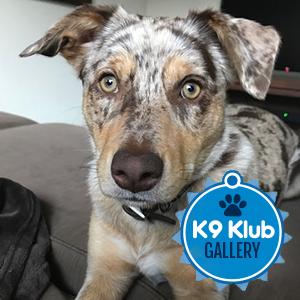 K9 Klub is a safe, supervised and fun environment for your dog to play off leash, socialise with other dogs and visit the doggy salon! So Why Choose K9 Klub Doggy Daycare? Dogs are highly social animals and off leash play can increase their social skills with both dogs and humans. Your dog will use up a lot of energy playing with their friends so at the end of the day when you come to fetch your beloved pup he/she will be ready to relax! 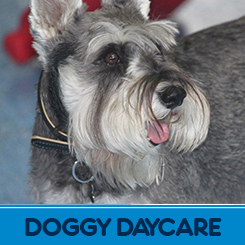 Doggy Daycare may help alleviate some behaviour problems such as barking, chewing and digging due to boredom and lack of exercise. I used to be shy and scared of other dogs due to my small stature. Not anymore! At K9 Klub I have made loads of new friends and a few tricks too! I used to have separation anxiety so my humans brought me to K9 Klub to make new friends and keep me entertained! Now I can’t wait to come back each day! for getting out my entire extra vigour so I can rest and relax at pick up time. still be fresh and clean at pick up time thanks to Doggy Wash!